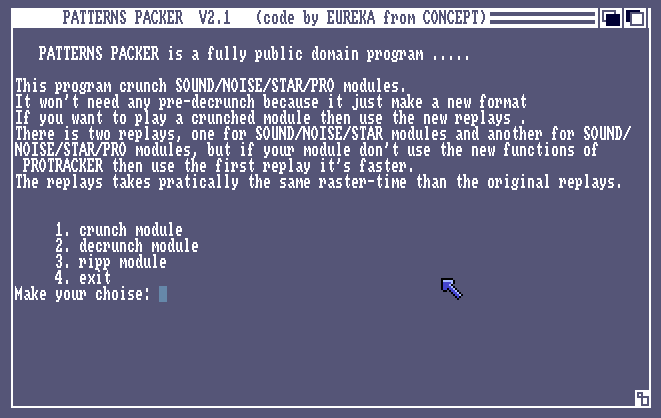 The two tools have been done by « Eureka ». What is nice about this logo is that the inside color and the outline colors are separated. So I’ve been able to do some nice palette effects and to change the colors line by line. 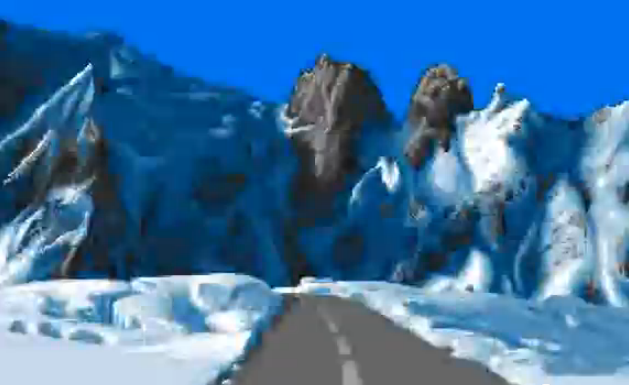 The front ice have been ripped from one loading screen of the game « Driving force ». Usually we do not use so many ripped arts, I guess this intro have been done very quickly. The music is called « The unnamable« . Module is 120Kb. You can find it HERE. The effect on the logo is done using the copper list and changing all logo colors for each line. 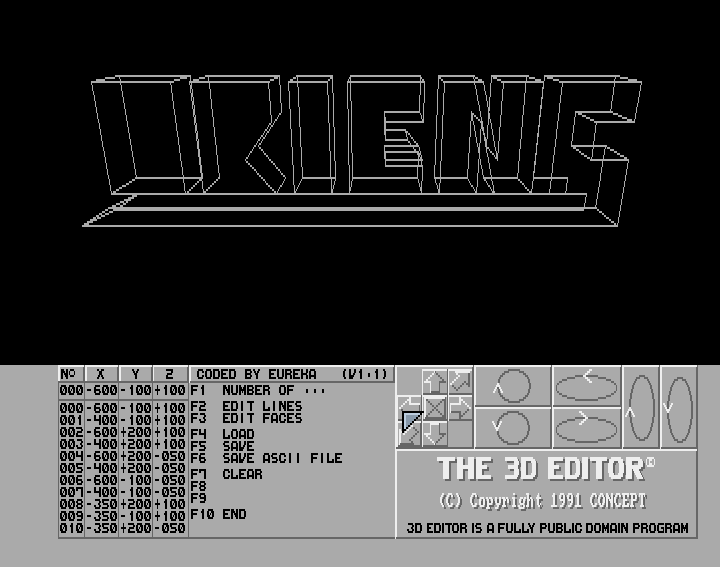 The logo is composed of 16 colors Differents parlettes have been defined (11) and there are displayed using a small sequencer.